Hibernian have appointed Grant Scott to the position of Head Coach after taking interim charge for a period of five weeks. Scott took up the role of caretaker Head Coach after the resignation of Kevin Milne in March. After a successful end to the 2017 season, winning the Scottish Cup, and a strong start to the 2018 campaign, the departure was a surprising move. Milne brought in Scott as his Assistant at the beginning of the 2018 season after previously working together in the men’s game. Scott brought experience within Scottish women’s football after coaching at Stirling University, city rivals Hearts and also the Scottish Student University team which won the Home Nations tournament in April 2017. 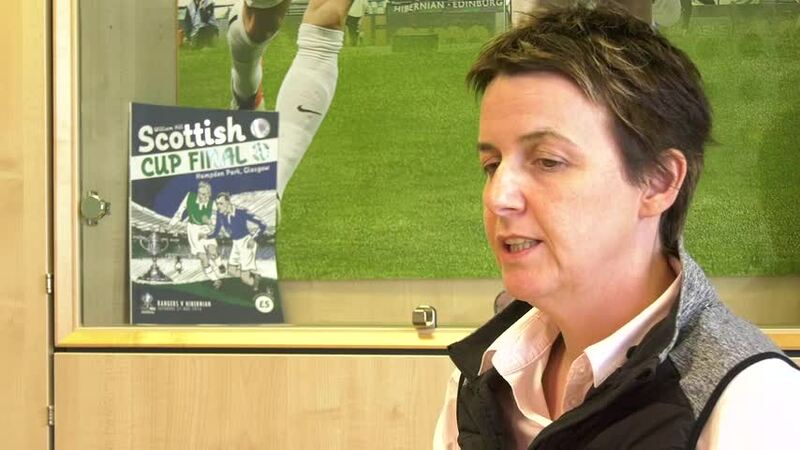 Scott’s run of games as caretaker saw Hibernian face Glasgow City and Celtic in the SBS SWPL before meeting City again in the SWPL Cup Semi Final with Hibernian unbeaten in all three and advancing to the final of the League Cup. On his appointment, Scott said, “Obviously I’m delighted to accept the position and very grateful to the club for the opportunity. Hibernian face Stirling University at Ainslie Park on Sunday afternoon in the SBS SWPL in Grant Scott’s first game as Head Coach. The game kicks off at 1pm on Sunday 6 May, with entry £5 for adults and £3 for concessions.